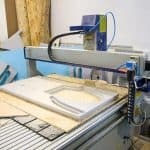 To ensure that your expensive floor drill press keeps on operating as it should, you will need to carry out some routine maintenance every now and then. Nothing overtly complicated, just some occasional tender, love and care to keep your machine running smoothly and accurately. 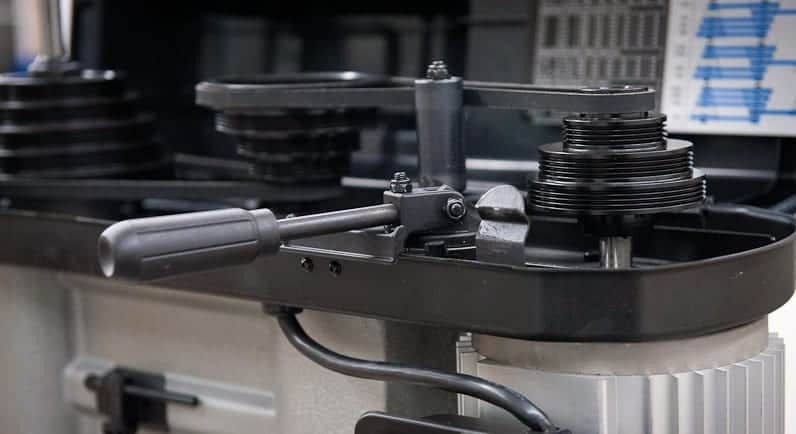 The pulley and drive belt, chuck, spindle and table platform are all components that will have a detrimental impact on your work if they are not configured correctly. In this article we will take a look at the various maintenance jobs you should carry out to ensure these issues do not become a problem. One of the most important (and easiest jobs) that needs doing is regular lubrication. 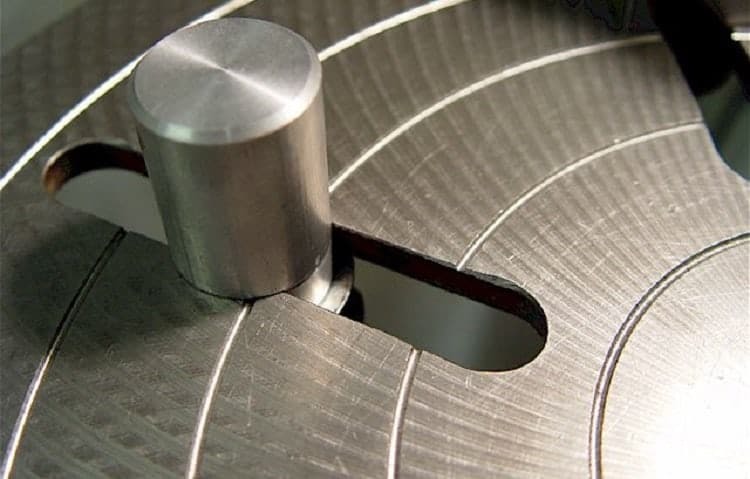 Drill components such as the chuck jaws need to work smoothly at all times. 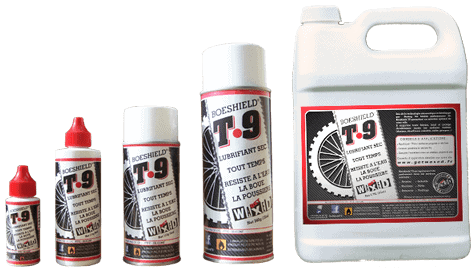 To achieve this all you need to do is apply a little drying lubricant, we recommend Boeshied T-9 (available on Amazon.com here) before and after use. 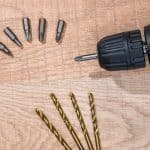 Simply open up the jaws while a drill bit is not in place, blow a little compressed air inside the chuck to remove any excess dirt and dust, and then apply the lubricant inside. To make sure the lubricant gets properly inside the workings of the chuck, open and close the jaws four or five times. If any lubricant seeps onto the outside, wipe it away with a rag. Another important drill press component that should be checked is the drive belt. A worn belt and/or pulley system will be a cause of frustration if left unchecked. The machine will be noisy and you will find a increase in vibrations running through the unit that will impede performance accuracy. Before checking the belt you should always unplug the drill from the electrical outlet. Access to the drive belt area is via the machine’s head cover, (if you are unsure about how to reach this area you should first consult the operator’s manual). First stop is a thorough visual inspection. Rotate the belt and pulleys by hand while looking out for worn out areas, cracks or lumps. If you find any, the belt needs replacing. You should also check the overall tension of the belt. Too tight and the belt could snap, to loose and you will run into issues with the belt sliding off. A belt with the correct tension will have about ¼ inch give when pressed halfway between two pulleys. 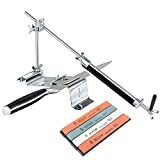 Again, belt adjustment mechanism differ from machine to machine, so you will need to consult your manual if anything needs to be altered here. Extra caution needs to be taken when checking the drill press while powered up. You should ensure that you are wearing face shield and gloves before carrying out the next maintenance check. With the cover still off, plug the machine back in and turn it on. Run the motor at the highest speed and inspect the belt and pulley system. If the belt oscillates causing excessive vibrations, it could be that tension is still out. Switch the machine off and unplug and go back over the steps above. 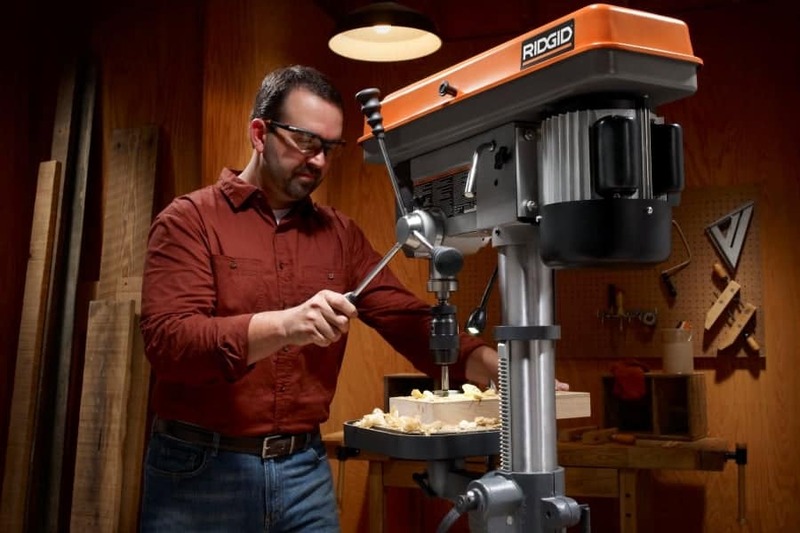 If there’s a visible wobble on the spindles as the machine is running, again turn the drill press off and ensure the setscrews connecting the pulleys to the shafts are tight and properly aligned. 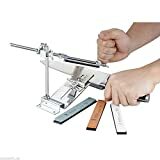 Related Content: Top 5 best magnetic drill press reviews can be viewed here. With the chuck removed you can carry out an inspection of the drill quill. Hold the lower end of the quill move it side to side. You are checking for play between the quill and the quill tube against the drill press housing. This has a direct impact on the accuracy you can hope to achieve when working with your drill. A loose quill will result in chuck wobble which leads to imprecise drilling. If you discover that you do have a loose quill you should tighten the mounting bolt that secures the quill tube into the motor housing. 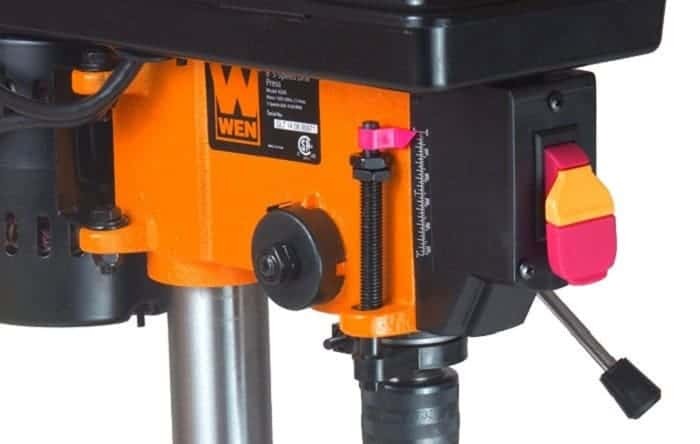 It is very likely that your drill press features a cast iron table. 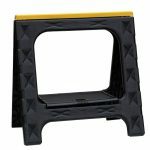 They are often used on heavy duty machines because of their strength and durability. The trade off however is that cast iron is susceptible to rust. To minimize the risk of corrosion you should clean the table after use. A simple wipe down with a damp cloth to pull up all the grit and dust should be followed by a wipe down with a dry cloth and then finished off with a liberal spray of rust-resistant protectant. 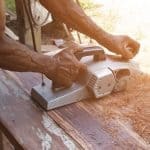 If you make sure to go through this procedure after you have finished with your drill for the day, you will help make your table will last longer as well avoid any problems with your projects due to a rusted table surface. Finally, you should keep on top of safety checks by ensuring that the drill switches and power cord are all in good, working condition. You can do this by periodically checking the cable to ensure there are no cracks in the insulation of the cord. Connections in both the plug end and the motor housing should be strong, concealed with no fraying or looseness. The switch on the front of the drill press should not show evidence of wear and tear, or shift and move within the housing. 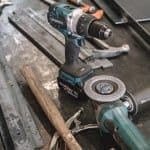 If you see any issues with the electrics you could be running a machine that will short itself out, or worse still end up giving you an electric shock while in use. Replace damaged cables, tighten loose connections and most of all keep on top of any issues as and when they occur. 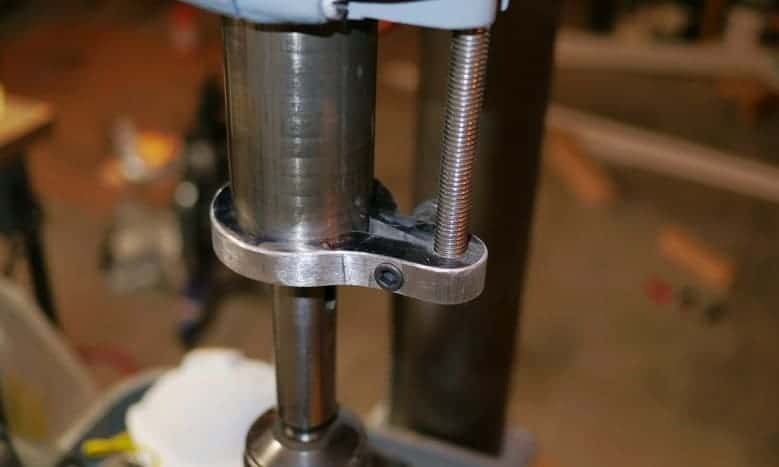 If you follow that final principle you will extend the running life of your drill press, and will carry on safely using your machine for years to come.